After a short holiday hiatus, I’m happy to be back and gearing up for 2013. I’ve been in overdrive as of late and looking forward to what is coming up for the New Year. Some recent news- two more paintings from my In Our Veins series have found a new home. Cohabit is an acrylic on canvas, 6″w x 12″h, and The Sum of Its Parts is also an acrylic on canvas, 11″w x 14″h. Both were recently in an exhibition at Gallery 549 which I will be posting photos from soon. 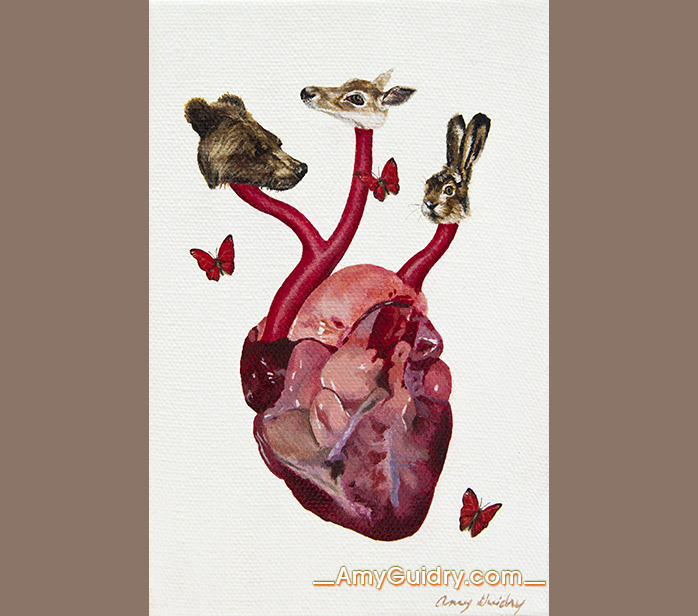 These paintings as well as the entire In Our Veins series can be viewed here: www.amyguidry.com/sum-of-its-parts.html. 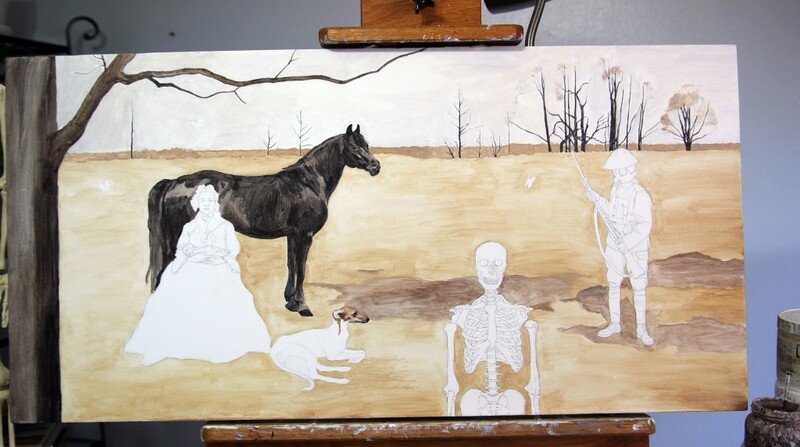 I recently posted a sneak peek in my newsletter of my current work in progress. 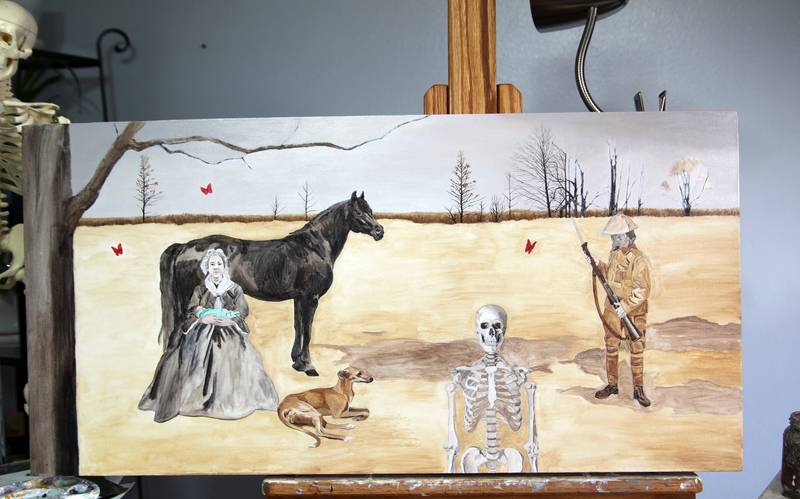 Generations is an acrylic on canvas, 36″ wide by 18″ high. 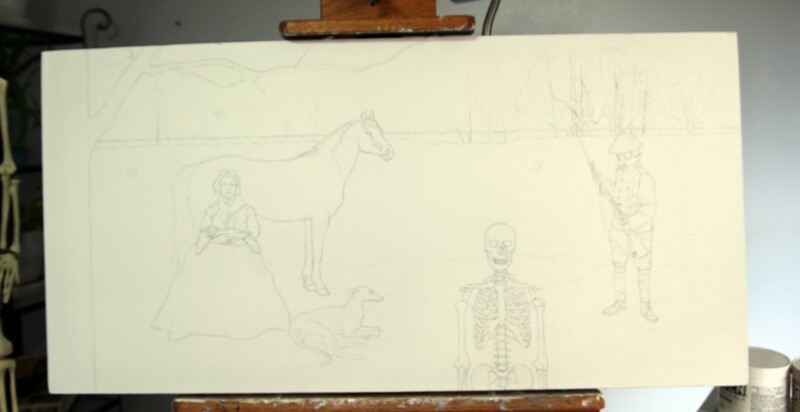 As seen below, I start off with a pencil sketch- all linear, no shading- and then add my initial layers of paint. I am currently adding more paint layers and adding detail work as I go. I’ll be posting the finished piece here but in the meantime, you can view this series of work here: www.amyguidry.com/wild_west.html. My painting Unity has recently found a new home. Unity is one of my latest paintings from the In Our Veins series and is an acrylic on canvas, 4’w x 6″h. 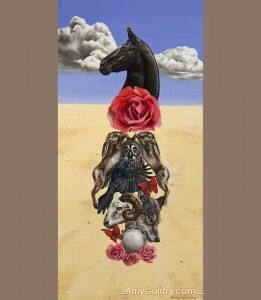 This piece is representative of the connection between us all- humans and other animals, as well as the Earth itself. View a larger image of Unity here www.amyguidry.com/unity.html as well as other paintings in the series. Another painting from my In Our Veins series has found a new home. Succession is an acrylic on canvas, 6″w x 12″h. 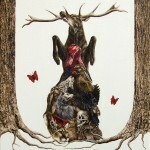 It was recently on display at Wally Workman Gallery in Austin. 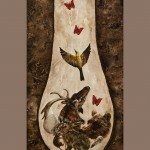 The human skull at the bottom leads up to larger animals and butterflies, illustrating how one life leads to a new life. 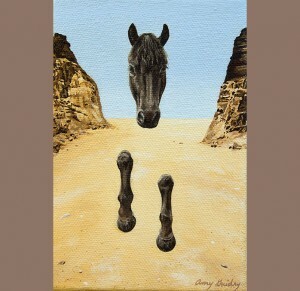 View this painting and the rest of the series here: http://www.amyguidry.com/succession.html. I received news that my work will be in the “It’s the End of the World (Again! )” exhibit at the PhilaMOCA in Philadelphia, PA. The exhibit is curated by Genevieve Gillespie and will run concurrently with a three-day celebratory symposium on the upcoming apocalypse. In addition to the exhibit, there will be panel discussions, films, and multimedia presentations. The event takes place at the PhilaMOCA December 19th through the 21st. More information about the events and schedule can be found here. This weekend is the Second Saturday Artwalk in downtown Lafayette, LA as well as the opening of the group exhibition at Gallery 549 I am participating in. I have several works from my In Our Veins series in the exhibit. The show will be up through January 4, 2013. 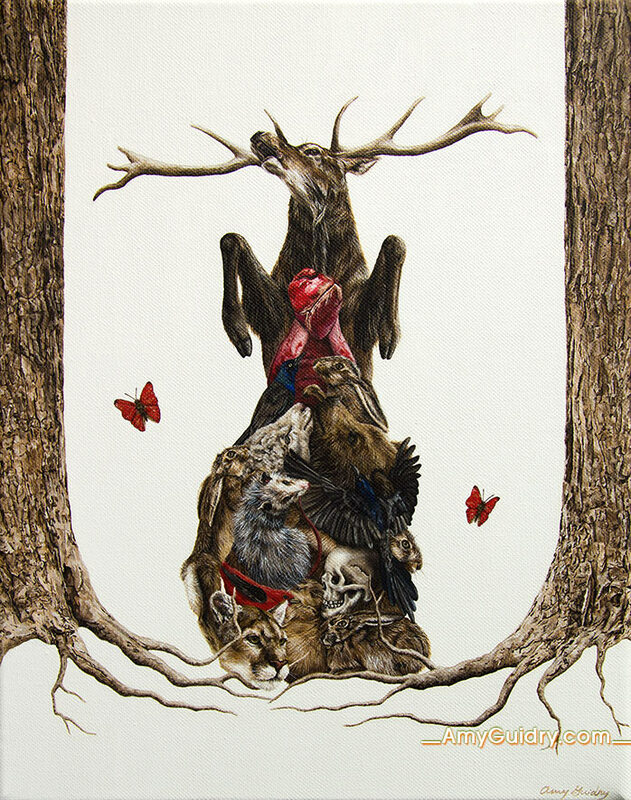 The opening reception will be held this Saturday, December 8th from 6-9pm. One of my more recent paintings from the In Our Veins series has found a new home. Segments is an acrylic on canvas and 4″h x 6″h. 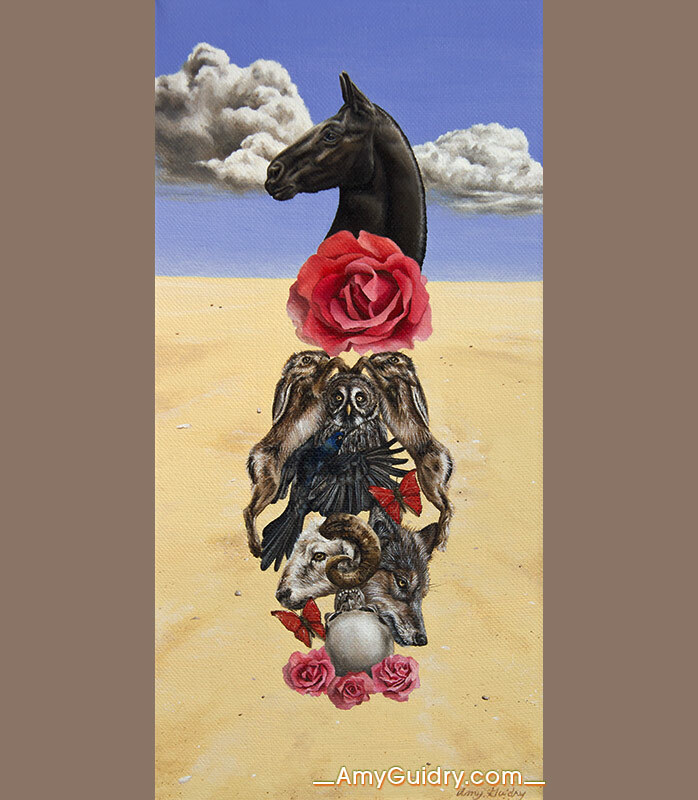 It features a fractured horse representing the common view of animals as merely a means to an end, while using facial expression and positioning to emphasize the importance of animals. View more from the series online here: http://www.amyguidry.com/wild_west.html.